Fashion Sale. When you put those two words together you have my full attention. Do I have yours? Perfect. 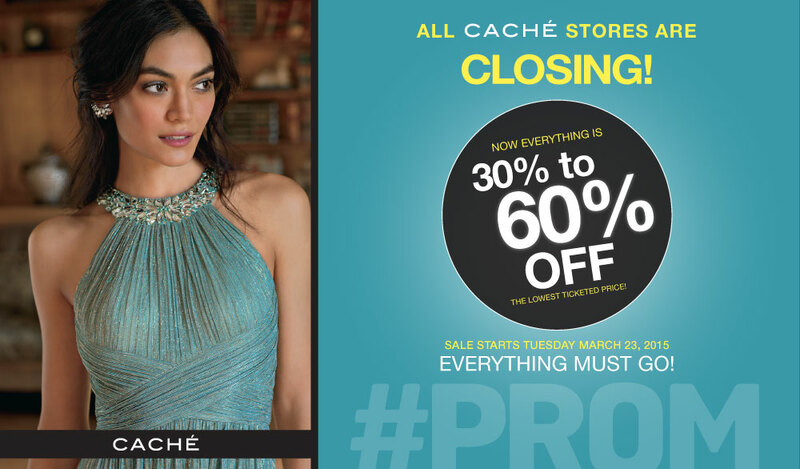 If you’re looking to add a few new pieces to your spring and summer wardrobe, or like me, your daughter needs a dress for prom – start with Cache. Why? Because ALL Cache stores are closing, and that means major savings for you and me. I was browsing through the Cache Facebook page to see what kinds of styles they have available and so many things grabbed my attention. You see that gorgeous striped dress? I want it. It’s exactly styles like these that kept catching my eye on their page. From stripes and florals, to denim and gowns – there’s a style for everyone. Be sure to check their Facebook page regularly for the latest info on the sale as new discounts are posted daily. You can also follow Cache news via their Twitter and Instagram -@cachestyle. 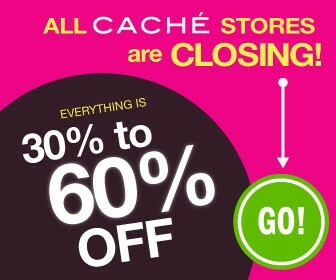 As of now, discounts are 30%-60% off, but will only get better as the sale period continues on. If you’re wondering whether there’s a store near you, just check their store locator. Would you like even more savings? Like maybe 10% more? 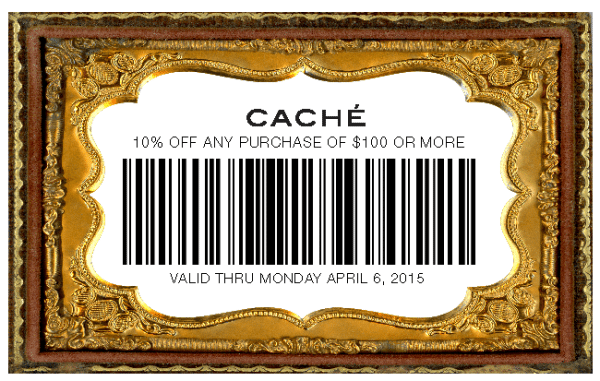 The coupon below gives you 10% off a $100 or more purchase. Either print the coupon by clicking on the image and hand it to your cashier at the time of checkout, or bring the coupon up on your phone and they’ll scan it at the register.